Do you have customers who are loyal to your brand and love talking about your company? Would your customers happily recommend you to others? Well, who doesn’t like to hear good things about their services and products but when you have such customers, how exactly you amplify their experience and use as a social proof to attract more customers? A testimonial – written or a video – brings social proof onto your digital media channels and boosts the credibility of your brand with client endorsements. Capturing exact emotions of your loyal customers via a video testimonial could be really beneficial for your business. However, as fancy as it sounds, asking for video testimonials come with its own challenges. 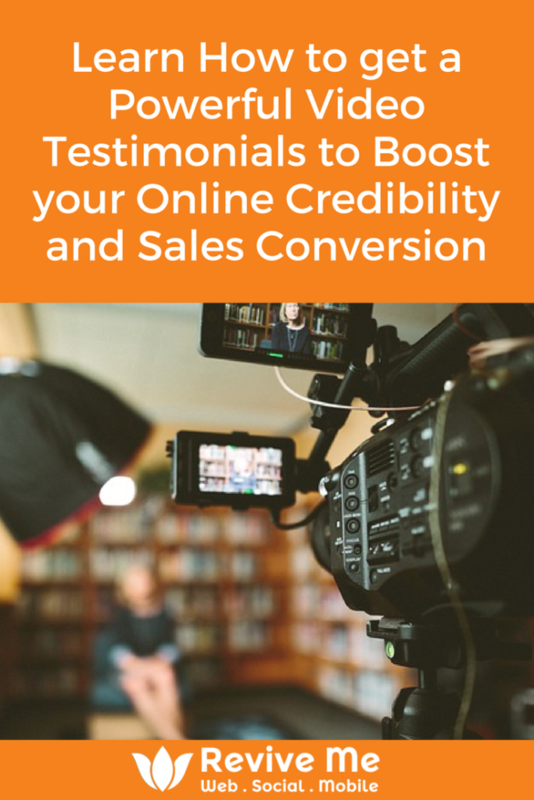 Many business owners hesitate to ask clients for a testimonial, especially a video one. Also, video requires lots of other preparations like right questions; proper filming and an eye for editing that could put your brand under a spotlight. In short, bringing up the best of what you do through your loyal customers. Let us break down the whole process for you and make asking for a video testimonial easier and a rewarding activity. Here are some helpful tips for asking your customers for a video testimonial. Discover how to prepare them and debut a video testimonial once they said YES to your request. Asking for a testimonial could be a tricky job but not impossible. You just have to be consciously aware and grab the opportunity when it arrives. How? Let’s take two entirely different fields – one, a Marketing Company and another a Dance Company. Both have different work areas and different target audience, so one style of asking for the testimonial may not work with other. Let’s learn effective ways to ask. It is usually a great idea to ask the client personally (over the phone is also perfect especially when you are talking about work experience.) The moment your client compliments you about how your service has been helpful to the business, that IS the time to bring up the intended conversation. Do not lose this opportunity and politely ask if it is okay for them to record a video testimonial with you. Wait and allow them to say, “Yes”. Later on, follow up with them through email or a phone call before this conversation dies off. You may even send a detailed written email and include prompting questions you would like for them to answer. Give them ample time to digest your request and suggest ways and times to obtain the video testimonial. Remember to maintain a “nice” attitude while you are asking for a testimonial. Positively encourage them by telling them how you intend to distribute the video, and how it would benefit them as well. i.e. Growing their exposure. Avoid being too assertive. It may put them off, so some tact is good. A dance class or any other group activity-oriented business has a different atmosphere and different kind of customer psyche. It’s usually easier to get a video testimonial in such businesses, however, it still requires you to “seize the right moment” to ask for video testimonial” as a skillset. After the class or event when everyone is riding high with myriad of emotions, this could be the right time of making an announcement that you are updating the website and would love to do a personal video testimonial with each one of them and record their incredible journey and some of the favorite experiences to share with the people who are still on the verge of deciding. A group testimonial could also be a great way to show how much fun the class is. 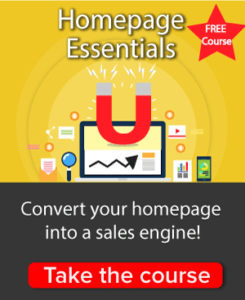 Such videos send out the vibrancy of your customers in a group environment. When they agree, you can tell them the medium you would use to capture it. It could be through FaceTime, Zoom recording, directly on a video camera, or mobile device and distributed on social media instantly. We would recommend to then embed it on a webpage to maximize the longevity of the video testimonial replay and views. This is a vital aspect of the whole process. It’s crucial that your clients understand that the purpose of a video testimonial is to talk about their business or personal goals and how you helped them achieve them. Ask them the questions that highlight their story about how they found you (if someone recommended you to them then mention their names), how your company met their business needs or helped them overcome their specific problems, and how was the overall experience. The story should be short, simple with good narrative and in their own words. Here are some of the questions you may ask or send them across as talking points before recording to help them build a compelling story. How did you find us? Did someone recommend us to you? Did our competitors approach you and try to steal you from us? If so, what did you tell them and what made you stick with us? The video interview questions are open to guide them on what challenges they face. The product-based companies may use slightly different questions, like main concern about buying the product, how it fits their business needs and so on. You can modify the series of questions according to your product or services, but don’t lose your focus and particularly ask about hesitations and obstacles; talking about these two points adds authenticity to the testimonial. Stories usually have uninterrupted flow and attention-grabbing elements, a thrilling start, and an impressive ending and that’s what pulls people and other potential customers. If you look around, you will find most of the video testimonials lack emotions, and they feel powerless. The reason behind such limp testimonials is that sometimes the clients don’t always know what to say and how to give testimonies, and on the other hand, companies have no clue how to get an impressive testimonial from the clients. Thus, it’s important to work on the set of questions and prepare the clients for it. In this video testimonial interview, I asked Andrea how she found out about classes, what made her interested, what keeps her coming back, what her favorite belly dance move was. This video testimonial interview was captured as we were video conferencing and I was delivering Get Digital Marketing program that Andrew has enrolled and been working with me on. I took the opportunity to ask him some questions and told him the intention of video testimonial interview as I had worked with him to create two for his business. We were video conferencing on Zoom, which I edited and uploaded on to YouTube on my channel with a playlist, then embedded in on the same program page as a testimonial. Omada uses behavior science to help people change their habits, improve their health and reduce their risk of chronic disease. This video was just all from their customers raving about why they chose them amongst other providers. It shows your clients’ emotions and journey with you, they bare themselves on the video and that’s why it becomes more touching. They give you valuable feedback, and it makes the clients feel important, they know that you value their experience and story. When posted on social media platforms the influence multiplies each time someone likes or shares the video. Once you get the video testimonial, thank your client either over the phone or via email. Send them a heartfelt message and let them know how much you appreciate their time and efforts. After recording, edit it carefully. It’s important to highlight the strongest points of your company or products. After final editing, upload the video onto YouTube, Vimeo or any other video sharing and do not forget to share it with your client.